We framed this handsome "Save the Date" invitation by floating it on a mottled gray bacground with a double mat. 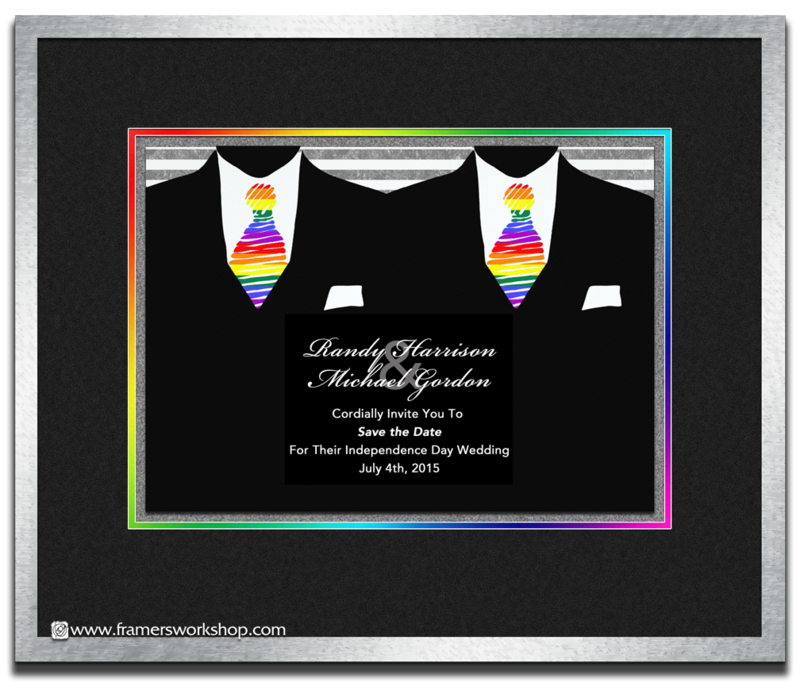 The top mat is a formal, textured black and the bottom mat is a rainbow that we printed on luster paper and adhered to white matboard before cutting the opening. The frame is a hammered silver metal. We're here to help you design the perfect frame to commemorate the special occasion.